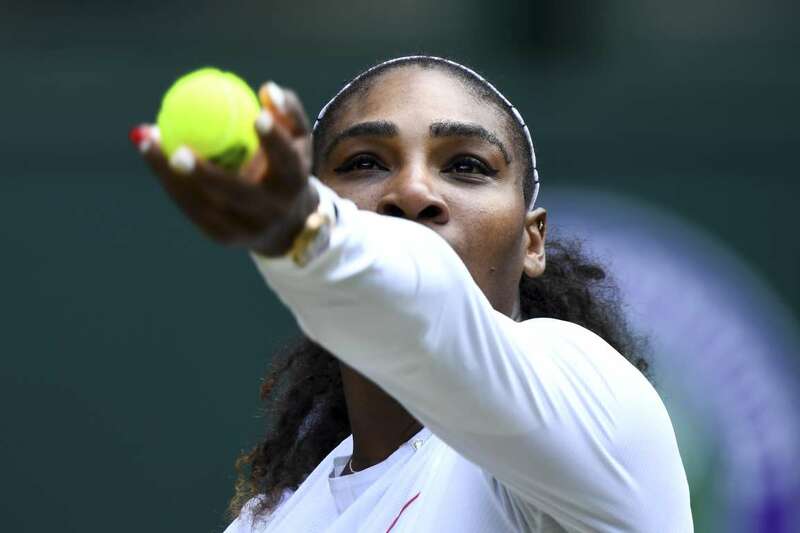 Serena Williams serves against Evgeniya Rodina during the Wimbledon Championships on Monday in London, England. Serena won 6-2, 6-2. 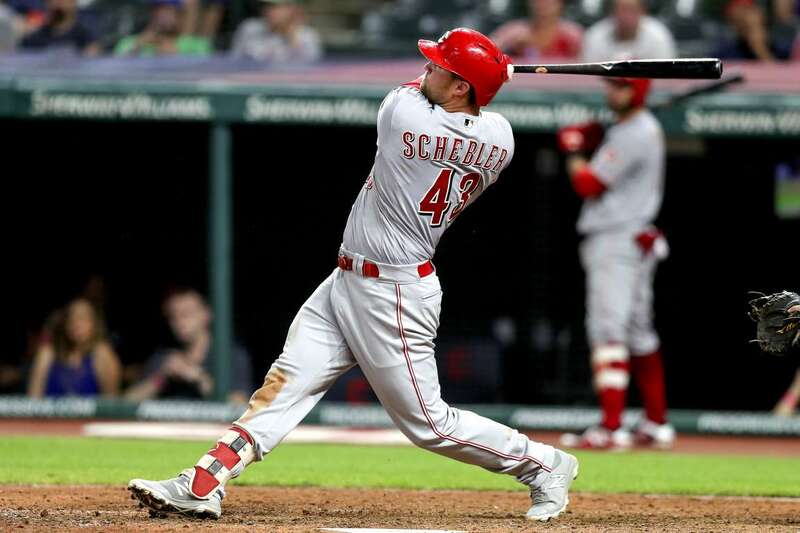 The Reds outfielder, Scott Schebler, belts a two-run homer against the Indians on Monday in Cleveland, OH. The Reds defeated the Indians 7-5. The Wizards', Aaron Harrison, and Carrick Felix (21), try to block the 76ers', Devyn Marble, on Monday in Las Vegas. 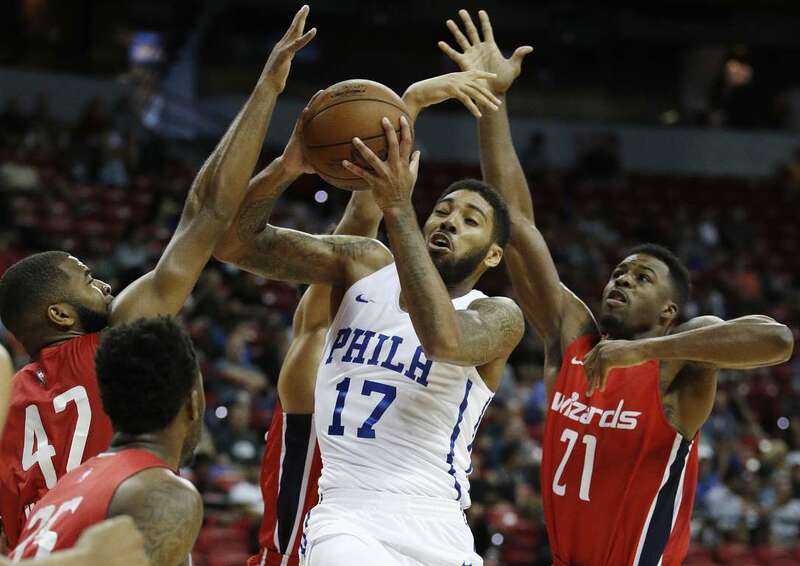 The Wizards won 120-115. 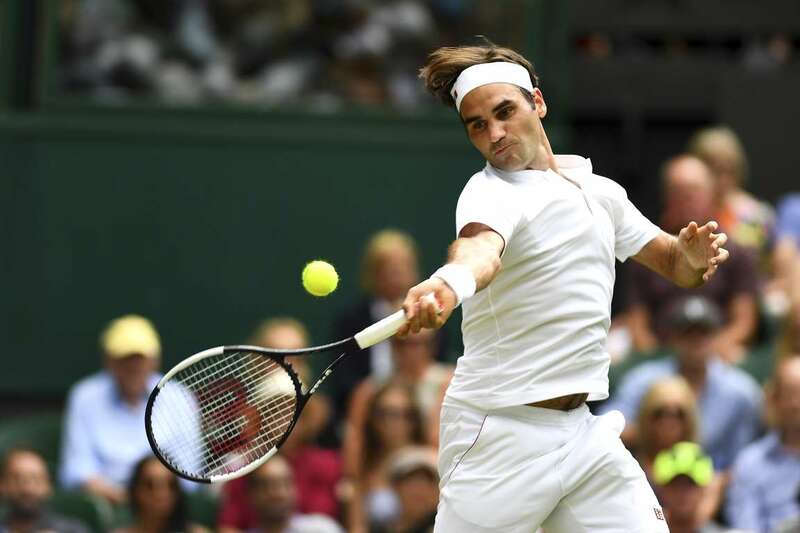 Roger Federer plays a forehand against Adrian Mannarino during the Wimbledon Championships, on Monday in London, England. Federer won 6-0, 7-5, 6-4. 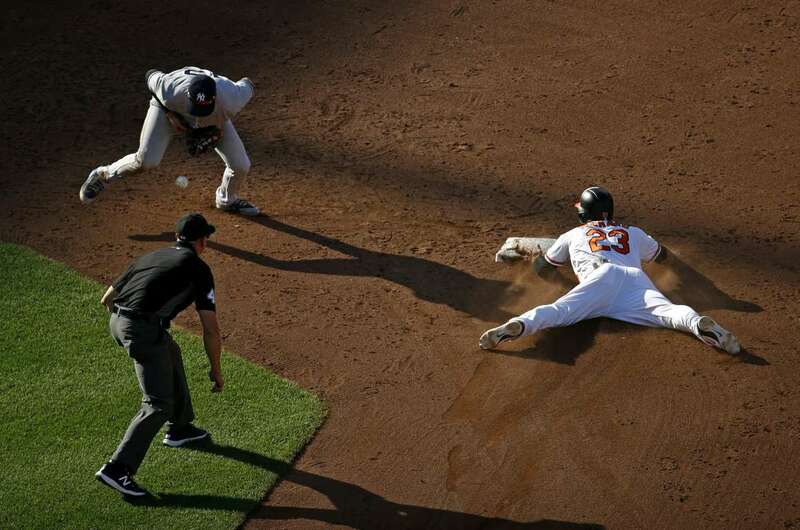 The Orioles', Joey Rickard (23) safely slides into second base for a steal in front of the Yankees', Tyler Wade, and umpire Shane Livensparger, on Monday in Baltimore. The Orioles won 5-4. 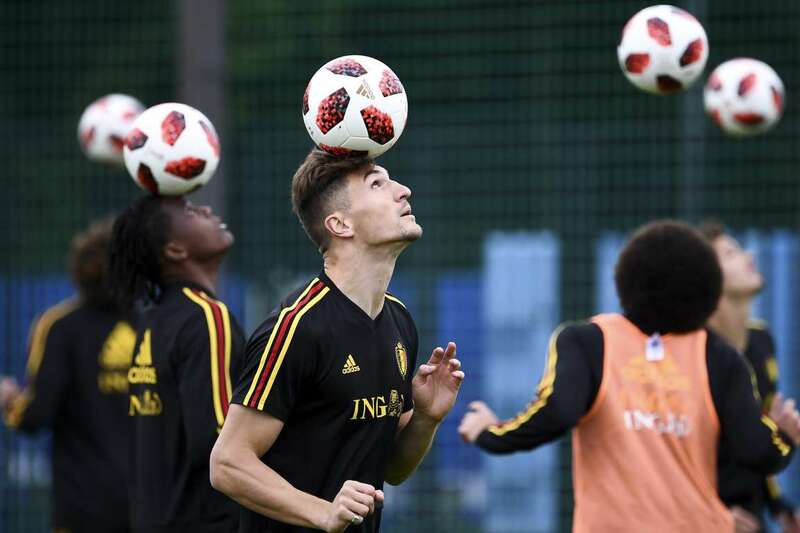 Belgium's defender, Thomas Meunier, attends a training session at the Guchkovo Stadium in Dedovsk, Moscow, on Monday, on the eve of their World Cup match against France. 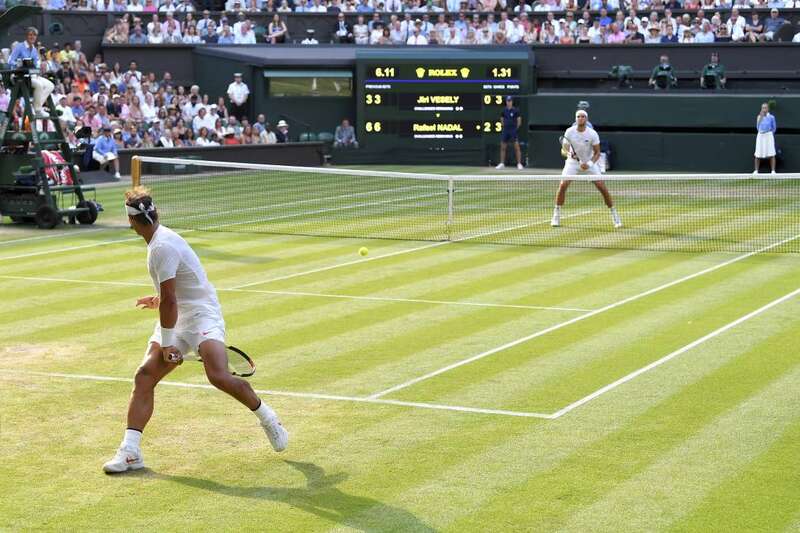 Rafael Nadal hits a shot between his legs against Jiri Vesely at the Wimbledon Championships, on Monday in London. Nadal prevailed 6-3, 6-3, 6-4. 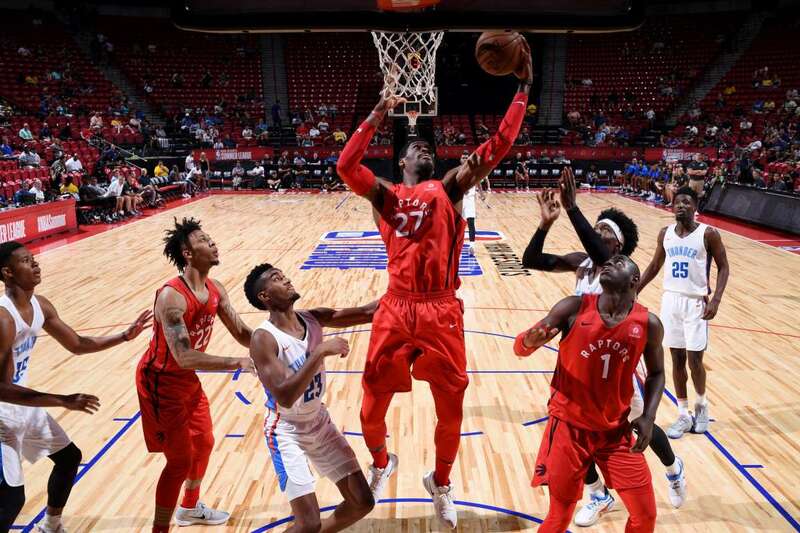 Shevon Thompson (27) of the Raptors, shoots the ball against the Thunder, during Summer League on Monday in Las Vegas, Nevada. 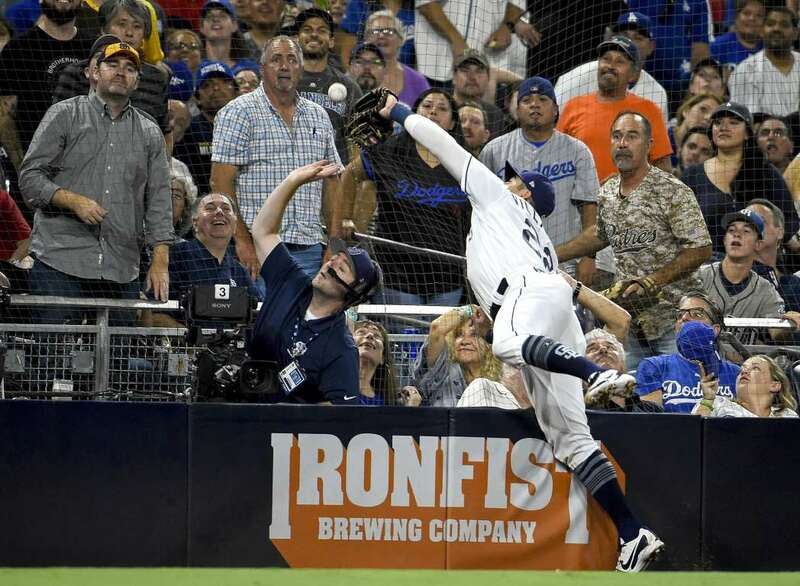 Christian Villanueva of the Padres, dives into the netting as he chases a foul ball hit by Cody Bellinger of the Dodgers, on Monday in San Diego, Calif. The Dodgers won 8-2. 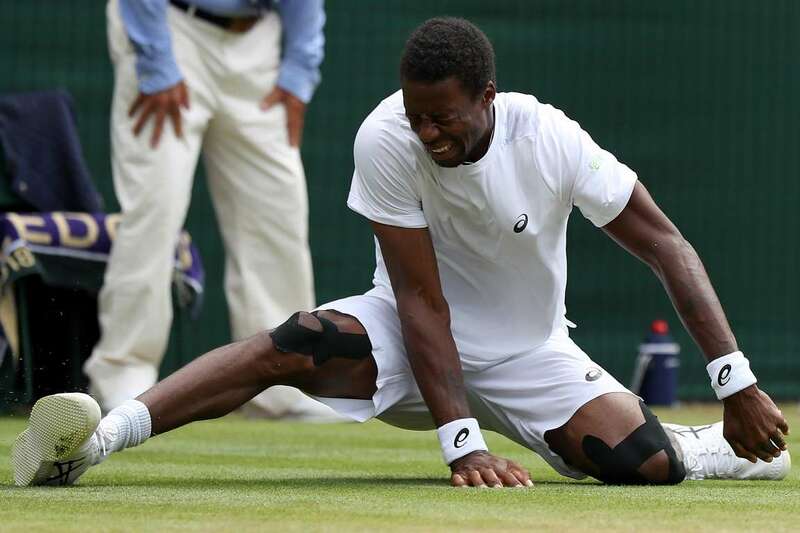 Gael Monfils, reacts after slipping on the grass as he plays against Kevin Anderson during the Wimbledon Championships, on Monday in London. Monfils won 7-6, 7-6, 5-7, 7-6. 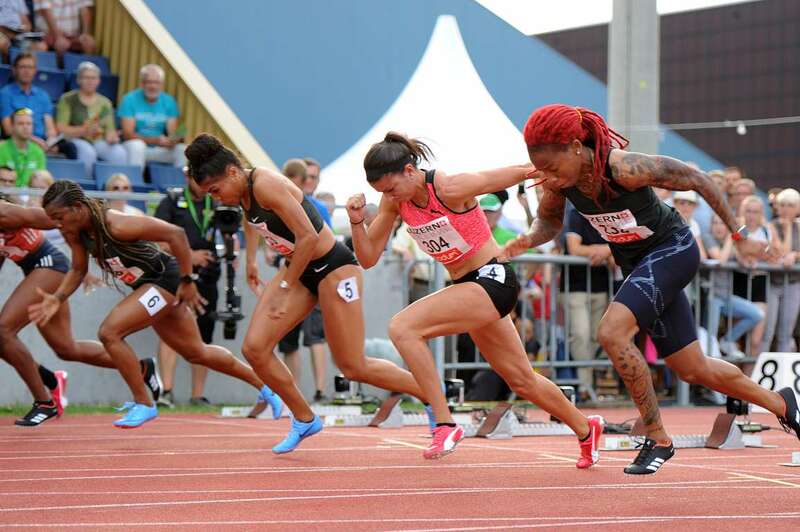 Michelle-Lee Ahye (TRI), Jenna Prandini (USA), Mujinga Kambunji (SUI) and Shelly-Ann Fraser-Pryce (JAM) in action during the Spitzen Leichtathletik Lucern Athletics, on Monday in Lucerne, Switzerland. 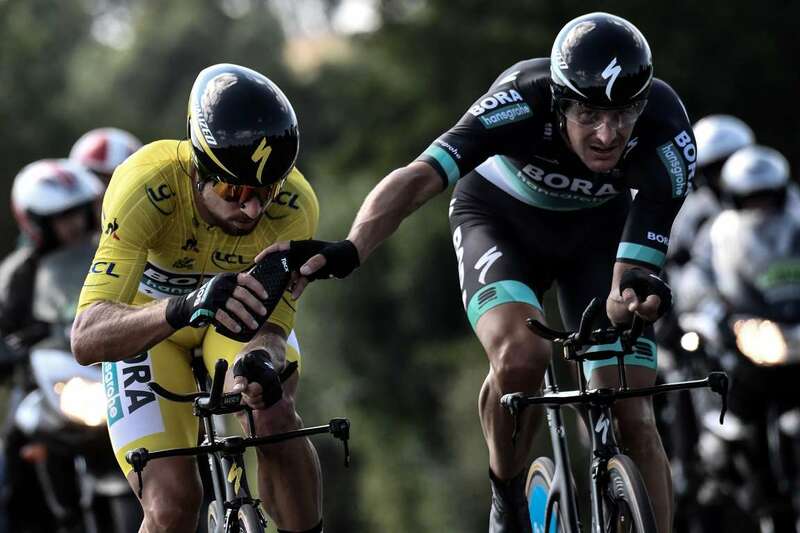 Germany's Marcus Burghardt, right, give a water bottle to Slovakia's Peter Sagan, during the Tour de France cycling race, on Monday in France. 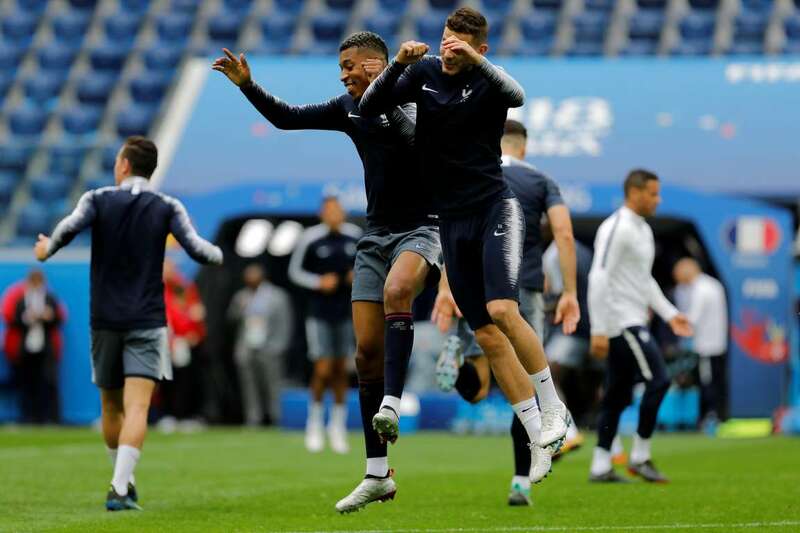 Presnel Kimpembe, left, and Florian Thauvin of the French national team, seen during training session ahead of the World Cup match against Belgium, on Monday in Saint Petersburg, Russia. 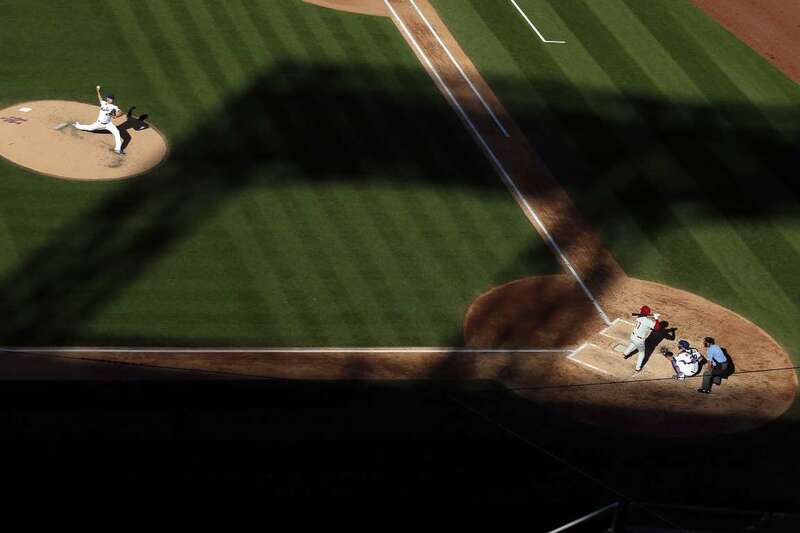 The Mets starting pitcher, Zack Wheeler, pitches to the Phillies left fielder, Rhys Hoskins, on Monday in New York. The Phillies won 3-1. 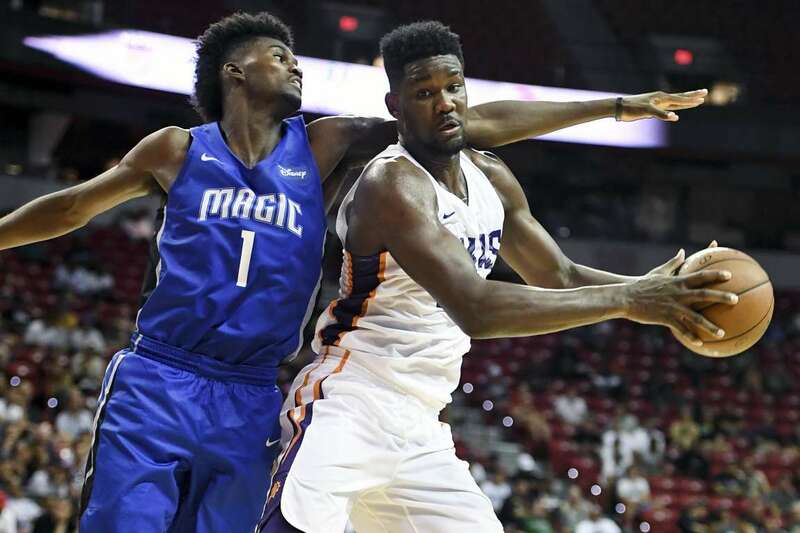 Deandre Ayton of the Suns, is guarded by Jonathan Isaac (1) of the Magic, during the Summer League on Monday in Las Vegas, NV. The Suns defeated the Magic 71-53.